I know it’s been an eternity since my last post. I know I’m not the best at keeping to a regular posting schedule, and that’s usually because real life gets in the way. In this case it is no different, I have started a new job a few months back and have been constantly swamped and so the blog had to take a backseat temporarily. I will do my best to put out a post when work doesn’t keep me down! Today’s post will be about a collecting trip I took to Nagano, Japan. My last post went over a few other plants I collected from the area, and this post’s plants are from the same prefecture, but a different area. 3 friends of mine wanted to show me a special spot of theirs that they found a long time ago. This collecting spot was basically a small scenic lake surrounded by some houses, in a small town. I wasn’t sure what to expect, but my assumption was that we would just be collecting plants near the waterline. Upon first inspection around the waterline I didn’t really see much of anything except a lot of tall grass. Though when I got closer to the water’s edge, I looked into the water and saw this. I thought to myself, “alright now we’re in business! Ok so we need a net or something.” Then immediately one of my friends came up from behind me and threw a relatively large 3-pronged hook out into the lake. He then slowly began “reeling” the hook back in. 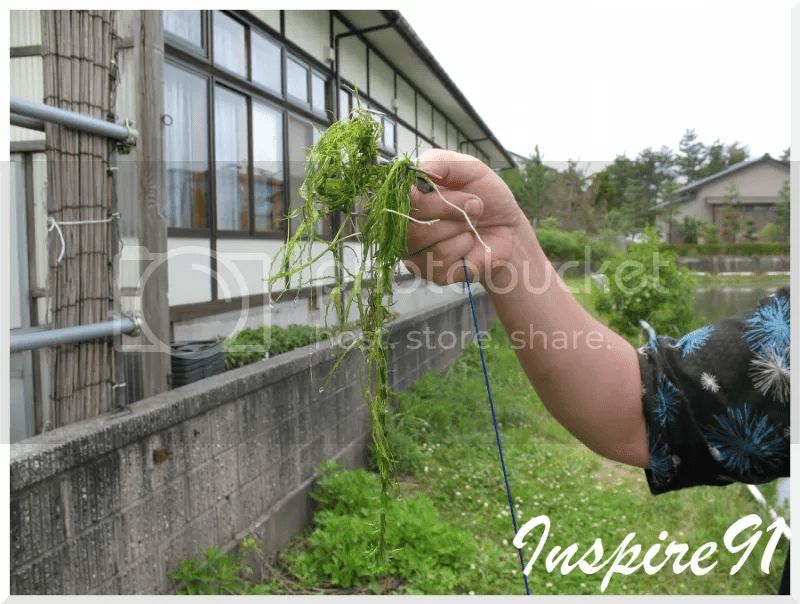 To my amazement, when he had gotten the hook back, he had “fished” up a good amount of 3 different types of aquatic plants. 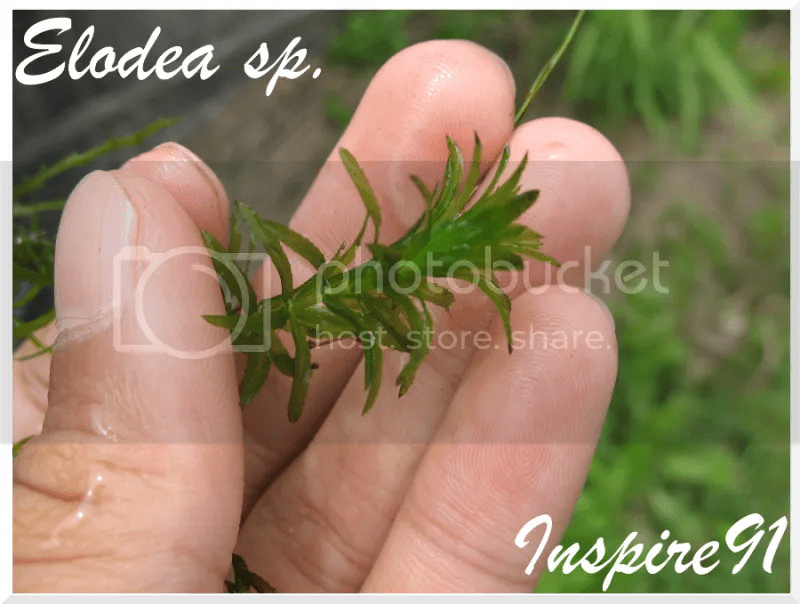 From what I was told, there were: Najas marina, Najas japonica, and an Elodea species. This collection “method” was new to me, but nonetheless it was quite an interesting experience. 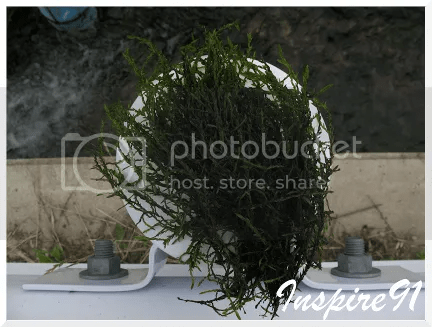 Maybe some of you can apply this method to collecting some aquatic plants in the future? We threw the hook out a few more times to collect a good amount of each of the 2 Najas species, and packed up our things to head to the next collection point. In terms of my experiences with these plants in an aquarium setting. Both of the Najas species were relatively easy to grow in a planted tank setup with CO2 (2-3bubbles per sec), fertilizers, and strong lighting (4watts/gal). 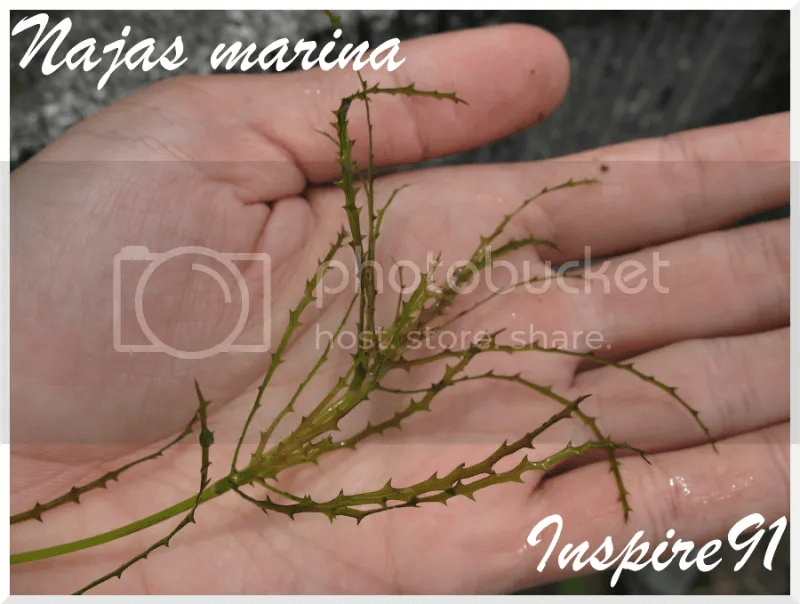 Najas marina was quite hardy, easy-to-grow, but a little “weedy” if you know what I mean. 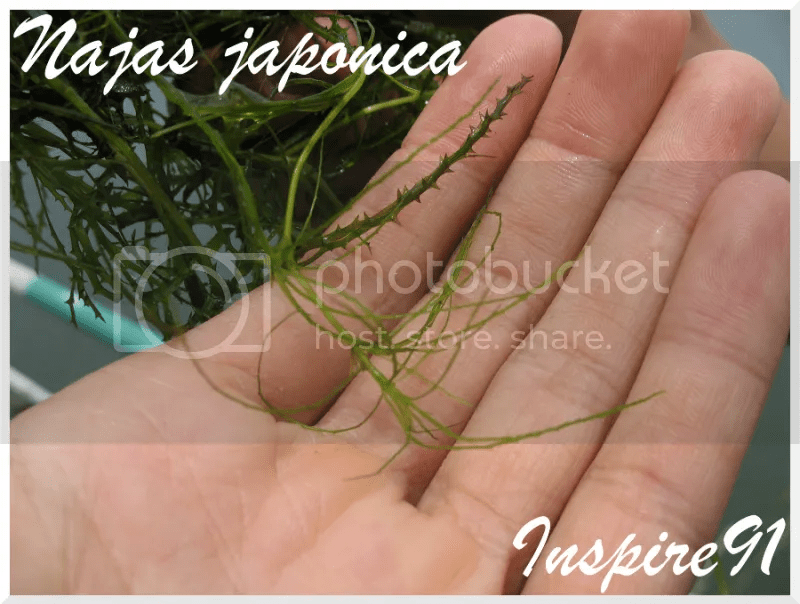 Najas japonica was a little more difficult it was the more fragile of the 2 species. Logic suggests that, because these plants were collected from an area that is usually cooler in temperature throughout the year, these Najas would do better if the water temperature were a bit more on the cooler side. Though when I tried my hand at these plants I kept them at typical room temperature, and they tolerated it well enough. 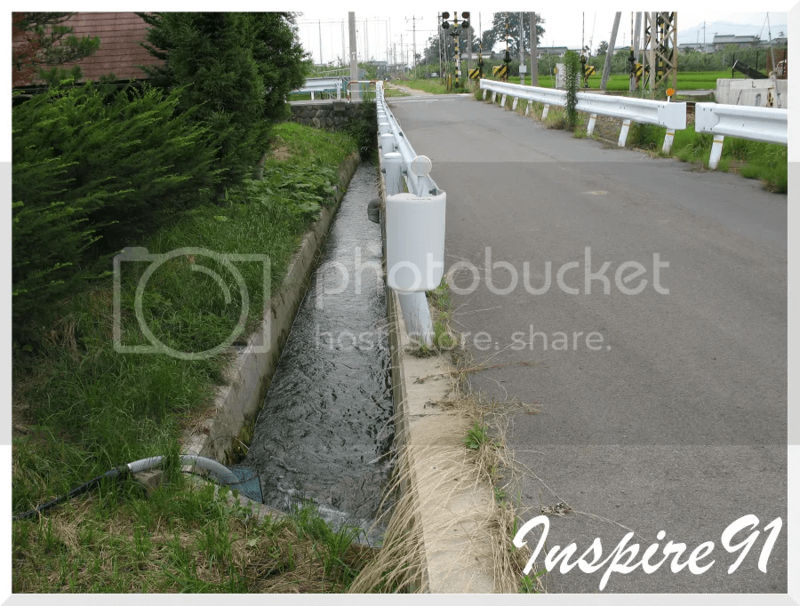 I hope you all enjoyed this post on collecting in Nagano, Japan! If you enjoy what you see, please feel free to leave a comment! Today’s post will be on a stem plant that some friends and I went to take a look at in Nagano, Japan. 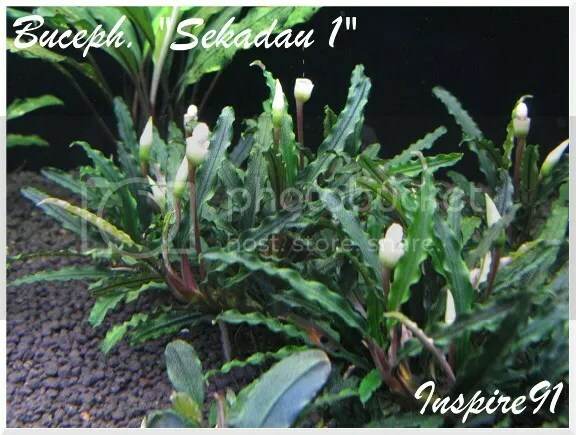 I have not seen this plant in the hobby at all and the reason I think for that I will cover later on in this post. I hope you all enjoy this post! The plant that we went to look at is Hippuris vulgaris. 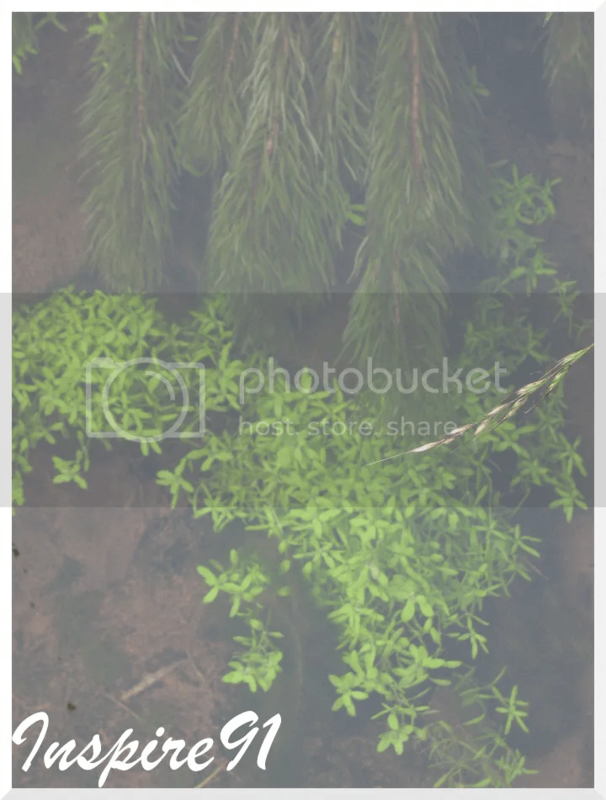 This plant is actually well-known in this area, so much so that there is a sign nearby a stream where it is plentiful. 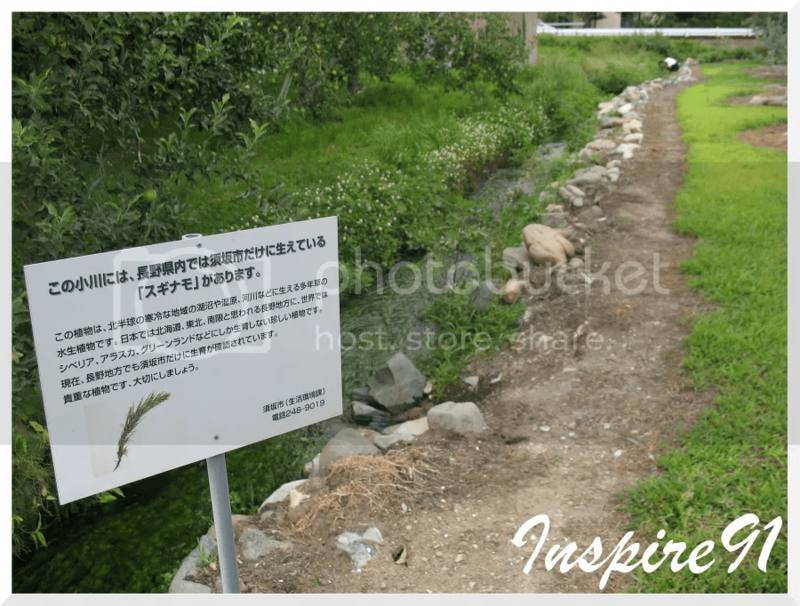 The sign basically states a few things such as that this plant only grows in colder areas/temperatures, where else in Japan as well as other places in the world that this plant can be found (Alaska, Siberia, Greenland). 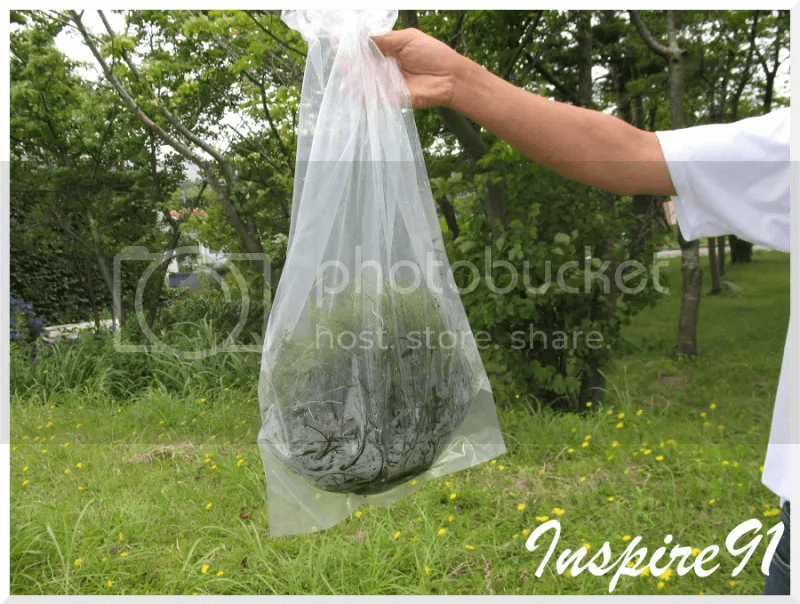 Lastly that this plant is very important and unique to the Nagano prefecture. As the sign nearby this stream stated, this plant only grows in colder areas and colder temperatures. This is the reason that it is not in the hobby, not many people have the money to spend on a cooling-device for their aquariums, it is just too troublesome. We found that is plant is quite plentiful in this area, both immersed as well as emersed specimens. The best explanation that I can give for the look of this plant is that it has the structure of a very leafy Eustralis/Ammania, but with translucent green (like Bolbitis) leaves. 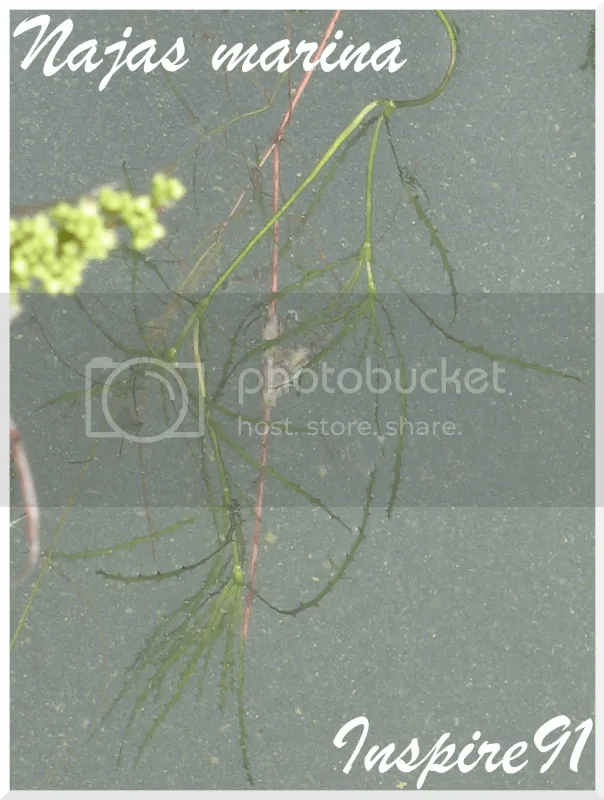 There were also other aquatic plants in the area that were in great abundance, such as Japanese Willow Moss, Fontinalis antipyretica. 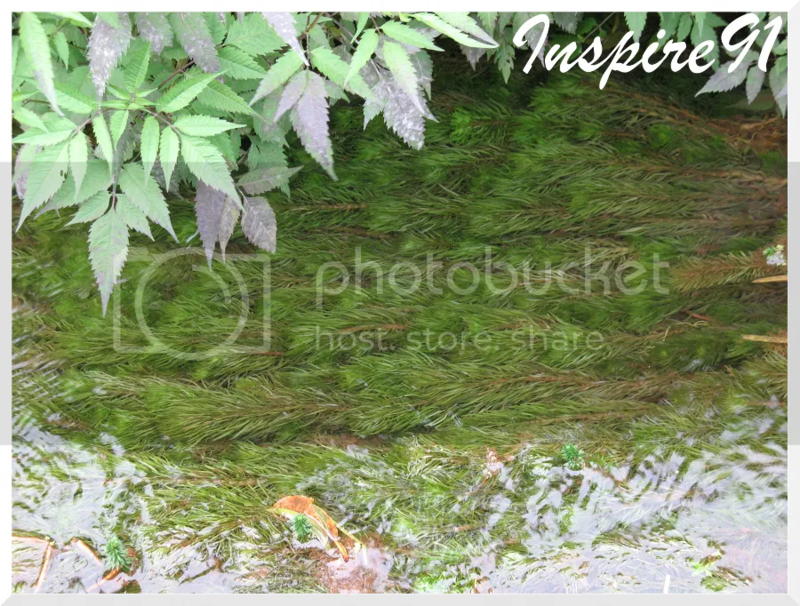 The stream pictured below was full of it, the whole bottom of the stream was matted with this beautiful moss, it was really quite a sight, and the moss was so clean and healthy, just amazing! Including beautiful patches of immersed Elatine triandra, this stuff was everywhere! I hope you enjoyed this post on a rarely-seen stem plant from the colder areas of our world! If you like what you are seeing please feel free to leave a comment! If you are located in the USA, Happy Thanksgiving! As of recently there has been a real lack of new and rare fish/plants coming into the hobby at this time, as it is now Winter, and transporting fish and plants are made more difficult with the chilly weather, thus the lack of posts, sorry about that! 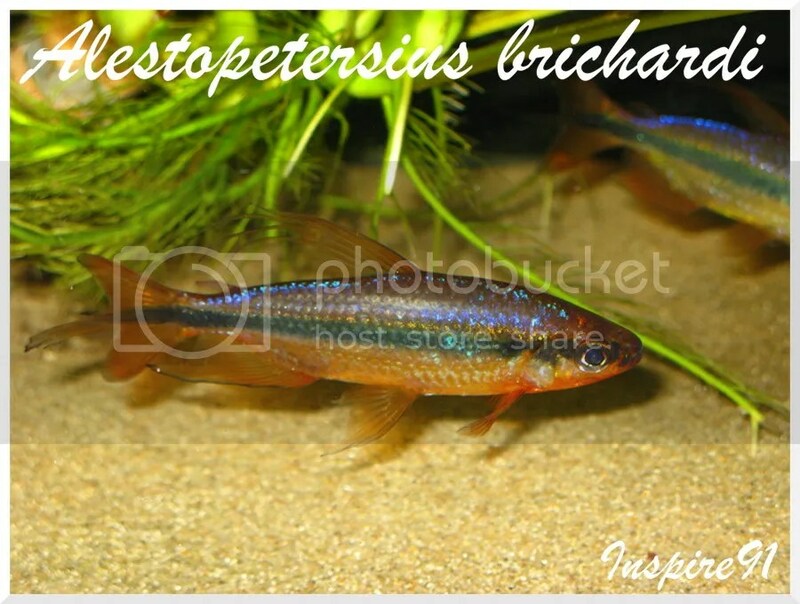 So today I am going to change it up and make a fish post on an African Tetra that is in the top 3 of my favorite African fish. 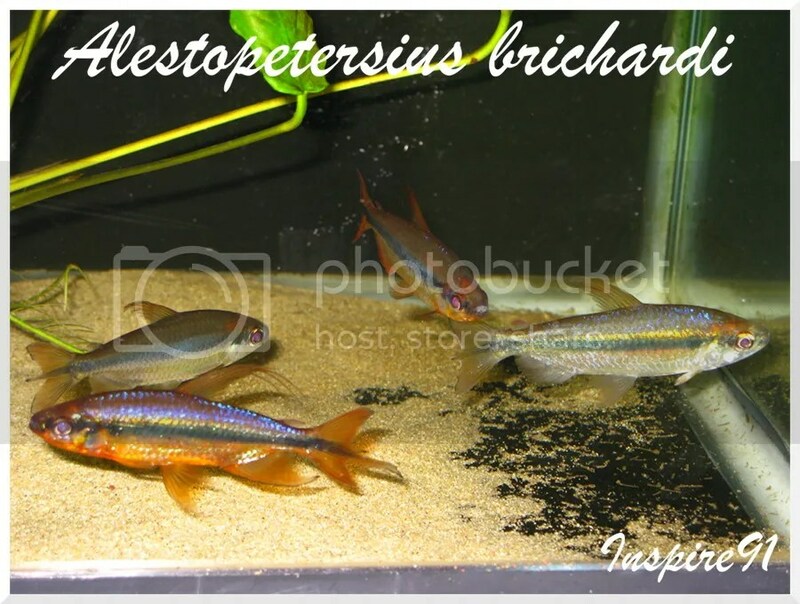 The African Characin that I am speaking of is called Alestopetersius brichardi, commonly known as the “Cherry Red Congo Tetra.” It is rare in that sources for this fish are quite hard to find, the collection site for these fish isn’t the most “safe” of places to go to, and as far as I know breeding successes for this fish are limited if at all. 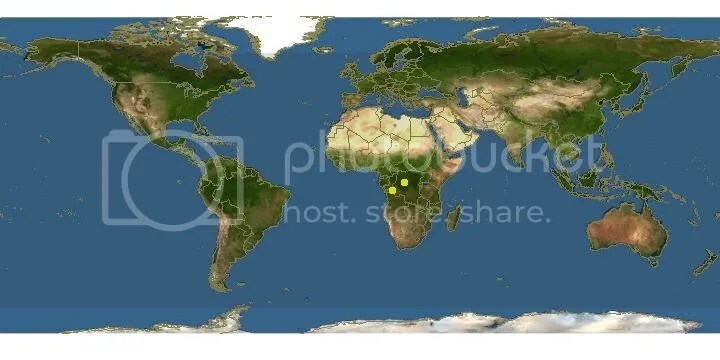 These fish come from the country of the Democratic Republic of the Congo, specifically such places as Yangambi and lake Yandja (at least these places are where the type localities are). I believe that this fish has it all when it comes to the perfect combination of coloration and finnage. They as their name implies, they are Red/deep Orange hues in color, which in itself, is brilliant, but that’s not all as over their whole body there is a blue and purple metallic sheen! As for the finnage, there is a long extension/spike in the middle of the caudal fin that comes out about ¾ of an inch to an inch, along with that dark stripe that goes from the eye down the whole length of the body, actually goes through this caudal spike. The Dorsal fin has about 3-4 filaments that come right off those top fin rays. These Tetras have sexual dimorphism, in other words, the physical appearance differs between the males and females. The females are much more drab in finnage and coloration, basically they are the polar opposite of the brilliant males. They still hold the blue sheen, a smaller caudal spike, and slight orange coloration. The female is to the right, male is on the bottom left. 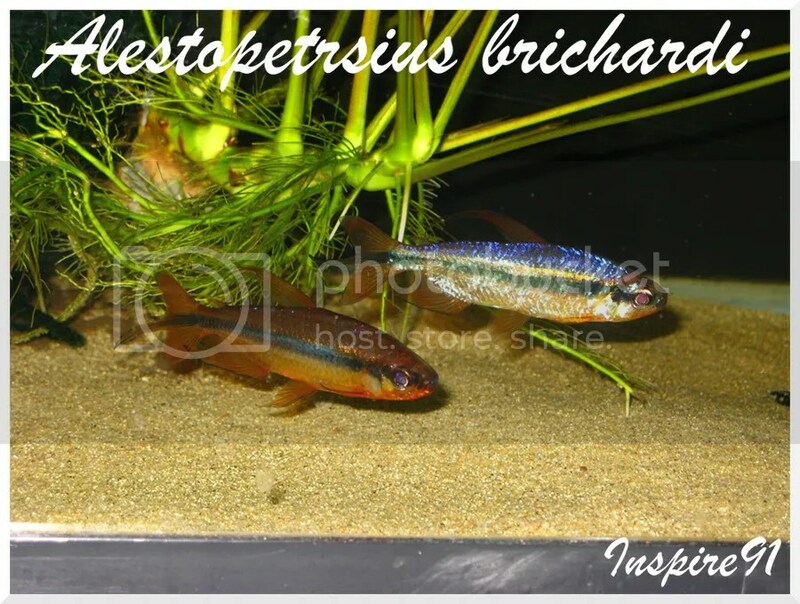 Also as with many African Tetras, they are somewhat on the larger size compared to most of the characoid family. They grow to a little over 3-4 inches in length. They aren’t very temperamental, and easy to keep. 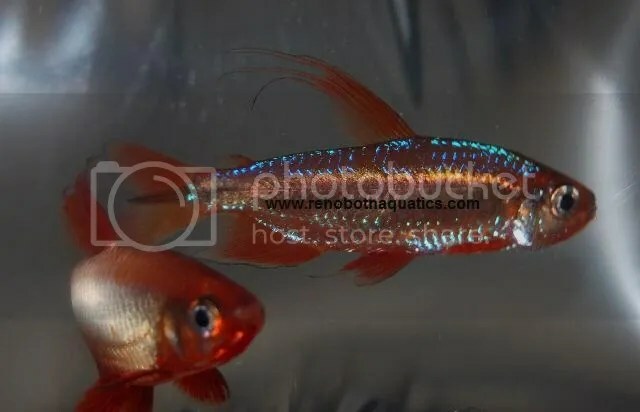 They prefer softer acidic water, especially if you are planning to breed them, although they are quite lenient in water parameters in terms of just maintaining them. I wanted to post 2 pictures here that was one of the 1st if not the 1st picture of this fish, collected straight out of the wild. The credit for this photograph is highly-contested, and I dare not name names, but I have heard who the true credit goes to, but I would rather not say here. The colors you see on these fish below are REAL, not fake, these fish in the bag are straight out of the wild. 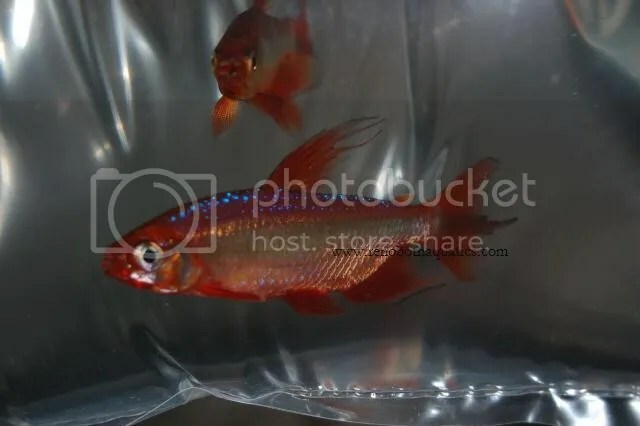 I had a conversation with a friend awhile back where we talked about how in the wild these fish show such a strong red hue, but once tanked they eventually lose it and come to the color of the specimens in the 1st few pictures. Ultimately he came to the conclusion that the brilliant red hue is mainly diet-dependant, along with the effect of natural sunlight on the fish. Nonetheless even without this crazy red hue, when tanked these fish still exhibit amazing coloration! The proof is in the 1st few pictures, which were taken from when I had an opportunity to keep these amazing fish. This is just a crazy colorful African Tetra! Hopefully if you want to try these fish out now, that you get that chance soon! Sorry for such a long delay between posts, but after summer vacation was over, lots of work ensued! 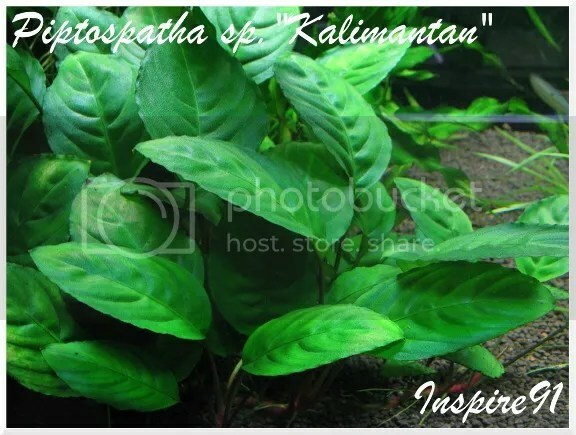 Nonetheless here is a post on a relatively new Aroid called Piptospatha sp.”Kalimantan”. It has been around for quite some time, but again relatively newly introduced to the hobby. It isn’t the most flashy or interesting Aroid around, but it is interesting in it’s own way with a bright red petiole and spade-shaped leaves with finely serrated edging. This plant does get a little on the large side reaching heights of about 12 inches, and the leaves get to about 4 inches from top to bottom and 3 inches in width. 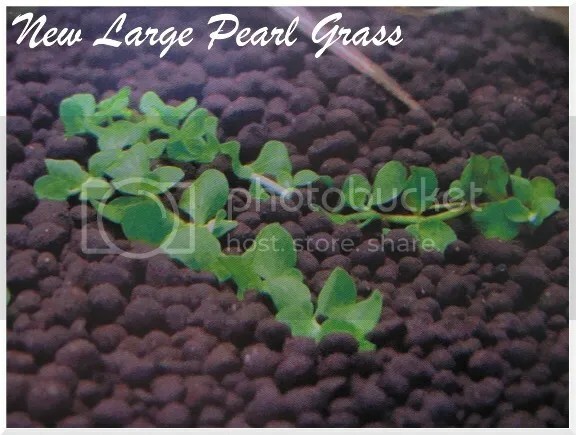 In terms of care, it thrives in a moderate amount of light, soft and acidic water. As with many if not all Aroids you will want to make sure not to bury the rhizome under the soil as it will rot and the plant will die. As opposed to some Aroids, this particular one cannot be attached onto wood or rock, it simply won’t take and will eventually die, it must be planted in a soil-like media. This is quite a tough and hardy Aroid, it can take a beating and is lenient to changes in it’s environment, also it does not have a “die-back” or melt period like with some other Aroids. All in all this is an easy Aroid to grow, give it a shot if you have a chance to get it! I’m back from summer vacation! Sorry for the long break between posts, but here I am again with a new and interesting plant! 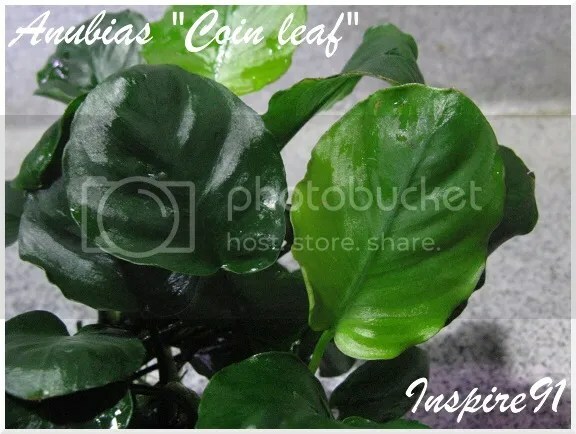 Today’s post will be on a new Anubias variety called “Coin leaf”. I just recently found out about this variety from a good friend of mine. 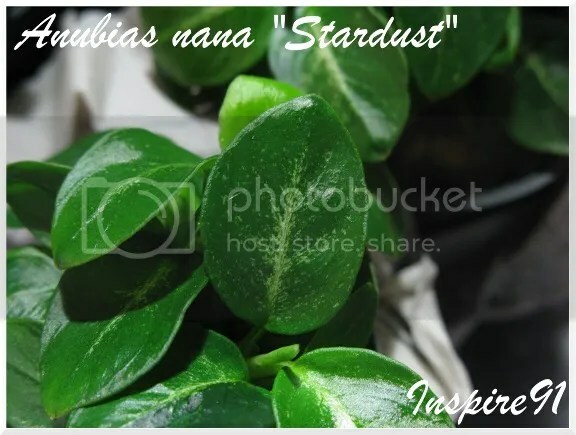 Like Anubias “Stardust”, this variety can at times be quite difficult to obtain, and comes from a source which can at times be quite “stingy” with their supply. Due to that circumstance getting your hands on this plant is quite a challenge. 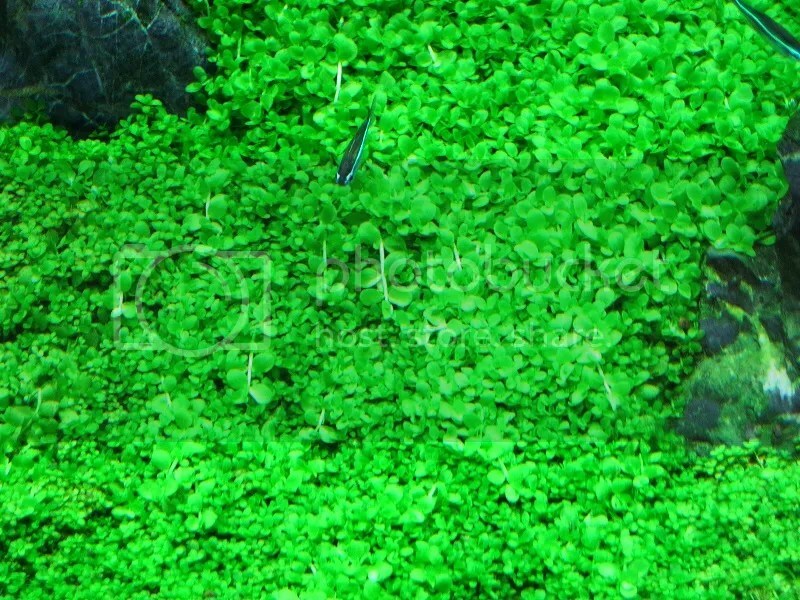 This is the most popular of Anubias varieities here in Japan at this time. 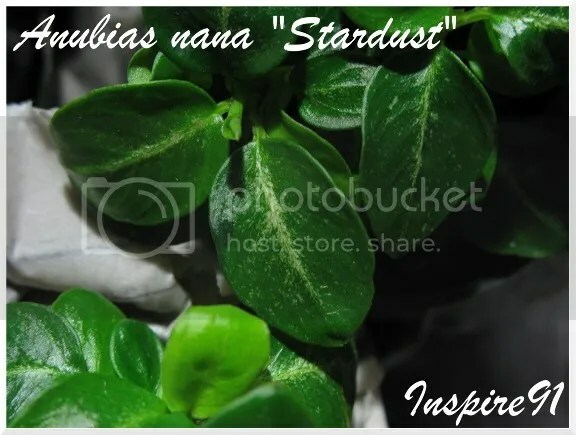 What makes this plant special is clear by the name given to it. The leaves are almost perfect circles, shaped just like coins. Even I must admit that the shape of the leaves have a unique allure to them. This plant is easy to grow, not anymore demanding than the typical Anubias. The leaves get to a max diameter of about 2 inches. From the side this plant isn’t the prettiest, but when viewed from the top, a large mass of this Anubias is quite a sight! 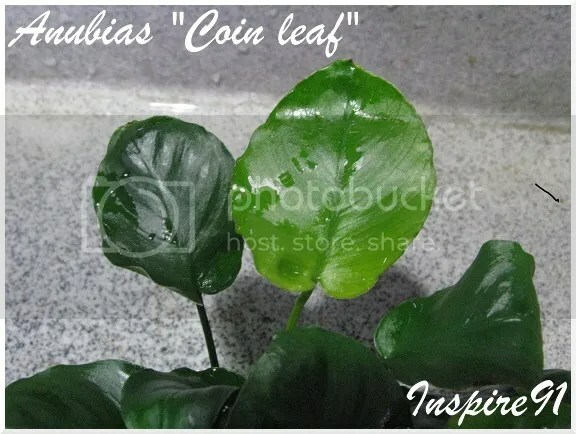 I hope you enjoyed this short post on the Anubias “Coin leaf”. How are all of you doing!? Today’s write up will be covering a somewhat new ground-cover/foreground plant that has come up here in Japan. 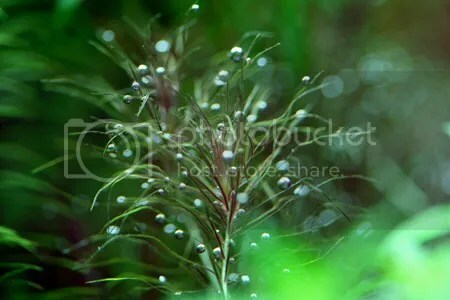 It has yet to receive a scientific name, so for now it is being called, “New Large Pearl Grass” by the hobbyists here in Japan. “Pearl grass” here is the general name for Hemianthus micranthemoides, or “HC”, and as is fitting this new plant resembles that plant, but is basically a larger version of it. The most defining characteristics of this plant is that the leaves (almost 1/2 inch max in diameter) are perfectly round circles that come out in pairs at each node along the stem. The lack of any petiole connecting the main stem to the leaf, makes for a very compact-look. When this plant is grown to its fullest it looks like a tight mat of circular leaves. At this time there really isn’t any other ground-cover plant like it in the hobby. 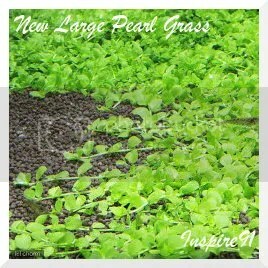 Ideal conditions for this plant are soft and acidic water, with stronger (4-5 watts a gallon) lighting. Stronger lighting is ideal in that since this is a low-lying plant, less light will reach it since it will be at the bottom of the tank (assuming you will grow this in a standard size tank, and not a short tank) basically stronger lighting will be needed to penetrate the water depth, in order to give this plant the amount of light needed to flourish. 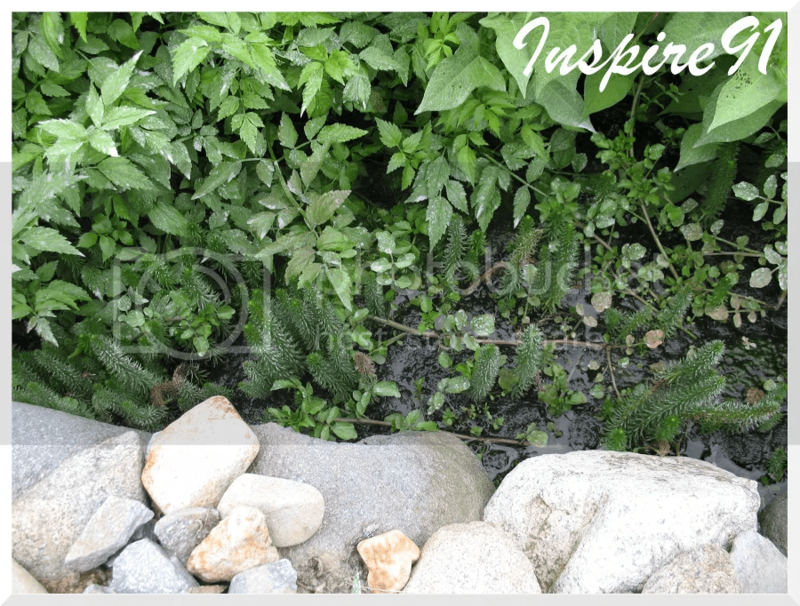 In terms of maintenance, as with most thick ground-cover plants, detritus or dead material tends to gather underneath it if there is no current around it at the bottom of the tank, creating a “dead-space”. That gathered dead material will cause the root structure to rot and die, so try to keep a current around this plant or be sure to “fan” out the dead material underneath it when you clean the tank. Lastly here is a comparison picture (not my own) of the New large pearl grass growing next to Hemianthus micranthemoides. Here you can clearly see the size differential in the 2 plants. New large pearl grass is growing in the top right corner, whereas HC is being grown in the bottom left. I hope you enjoyed this post on a new foreground/ground-cover plant that you can keep your eyes out for! Today I will be presenting another stem plant, this time a Mayaca species from Brazil. It made its debut in Japan in mid-2008, so by no means is this a brand new discovery, it is quite an established Mayaca. 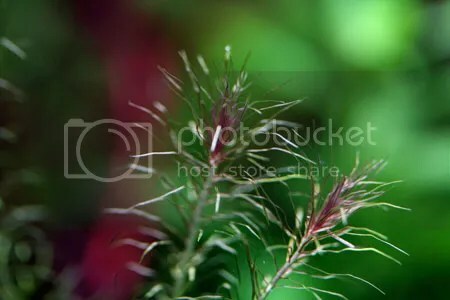 Although it has since fallen out of popularity and has thus become a “hard-to-find” stem plant. Whenever you think of Mayaca, what characteristics come to mind?? 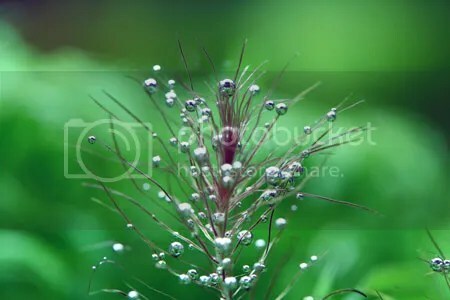 For me, I think of the color green, leafy, all-around thin plant that is soft and delicate. First and foremost I think of the color green because in the Mayaca genus, you rarely come across any species that is “colorful” or shows any hint of any color other than green. That is where this Mayaca sets itself apart from the rest! The red hue on this Mayaca is astounding! As you can see from the picture below (minus all the bubbles :P) The shade of red is so deep, that it is practically maroon! Although the color ranges from pink to red to this maroon, depending largely on the amount of light given to it, as well as the fertilizers. If you look closely at the leaves of this plant, you can see that they aren’t fully red. The red color only appears within a small strip going down the middle, length-wise, of each leaf. While there is this red strip down the middle of the leaf, the edges remain green, so therefore there is this green-red-green striping that occurs. 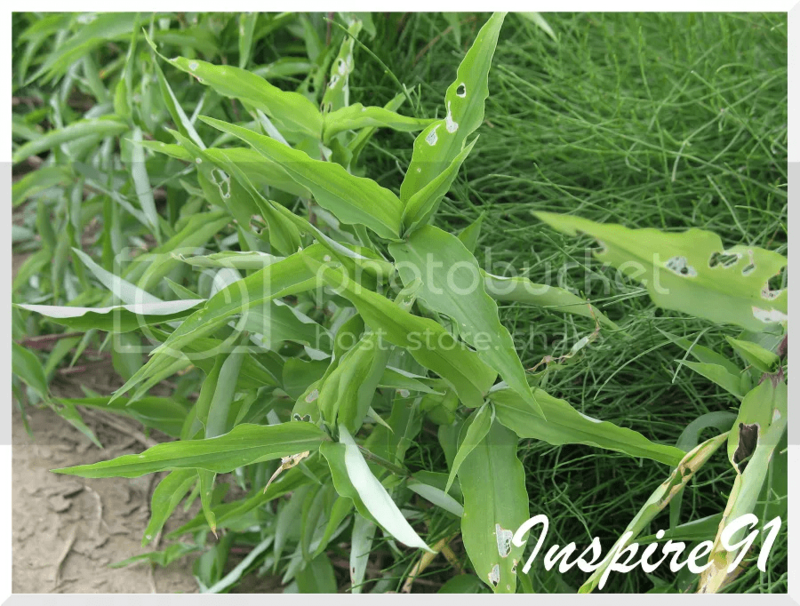 Quite an interesting characteristic that is easily missed if one does not look very closely at this plant. Lastly it is a relatively fast growing stem plant, just like most Mayaca species. 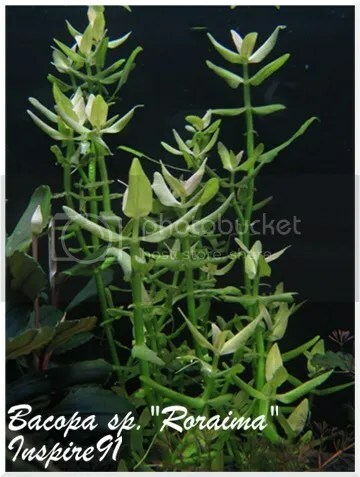 The crown is about an inch across, so not a large stem plant by any means, it is a smaller stem plant, ideal for mid/background placement in aquascapes, or mini/nano tanks. I hope you enjoyed this short write up on this really unique colorful species of Mayaca from Santarem. I still have a few more stem plants to cover in my future posts, so keep your eyes open for them! If you like what you see, please leave a comment! I hope all of you have been doing well 🙂 For my next couple of posts I will be covering a variety of stem plants, changing it up from my usual rosette-oriented posts. 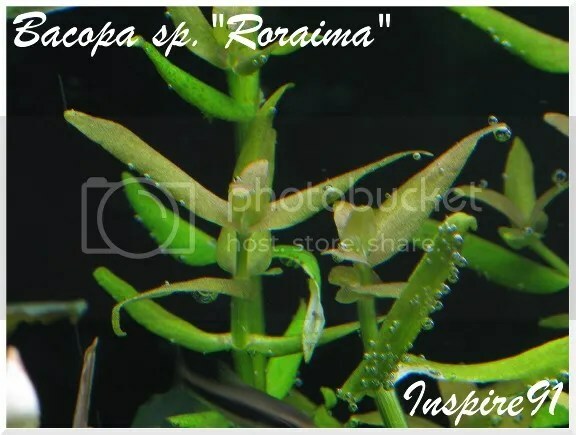 Today’s post will be on the unique Bacopa sp.”Roraima” which hails from Brazil. 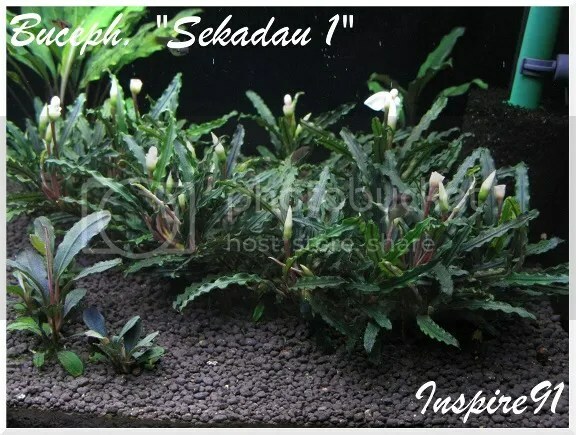 While it is not anything new, it does have some unique qualities which set it apart from your typical “Bacopa”-look. Right off the bat what stands out to you and in my opinion makes this Bacopa something quite special is the long and curled leaves. 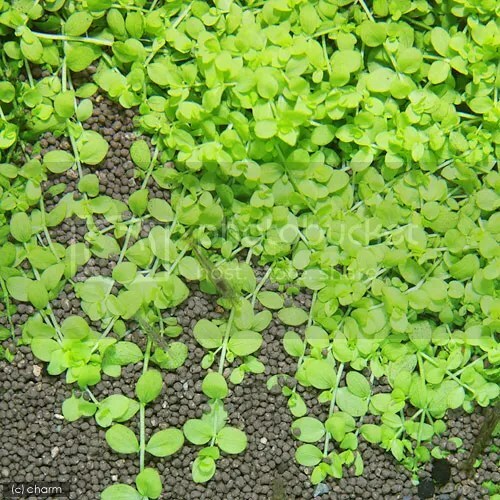 When one thinks of a Bacopa, you think of round, circular, short leaves, but this one is different. 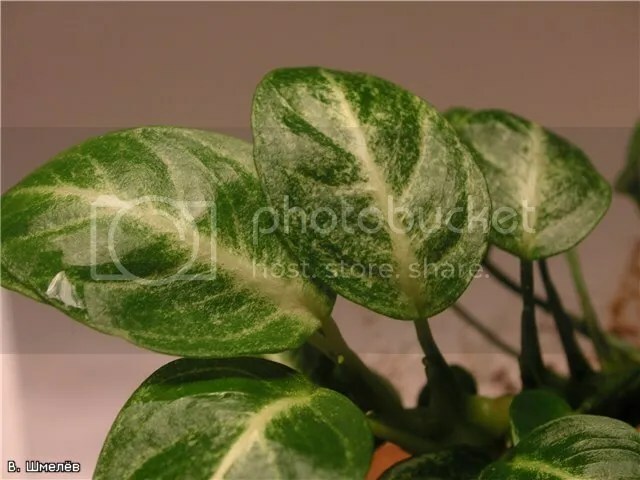 The leaves are about an 1 1/2 inches in length out from the stem, and as you can see they curl in a downward direction, and inward, down the length of the leaf. Something you may not notice, unless you look carefully is that where the leaf meets the stem, some of the larger leaves have “ears” that face downward. One other thing you can see very faintly in the close up picture below, is that there is a slight pinkish coloration on the crown. The crown of this particular variety will turn a light pink color if given a high amount of light. This Bacopa really only requires a medium amount of light to just survive. It is easy to grow, and fast at doing so. Water parameters should be soft and acidic water at 20-28 degrees Celsius. Propagation can be done by cuttings. 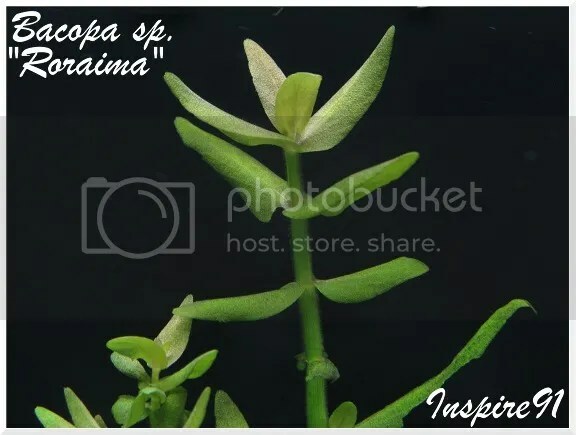 I hope you enjoyed this short write up on this interesting Bacopa variety from Brazil. Today I will be doing a short write-up on one of my favorite Anubias! 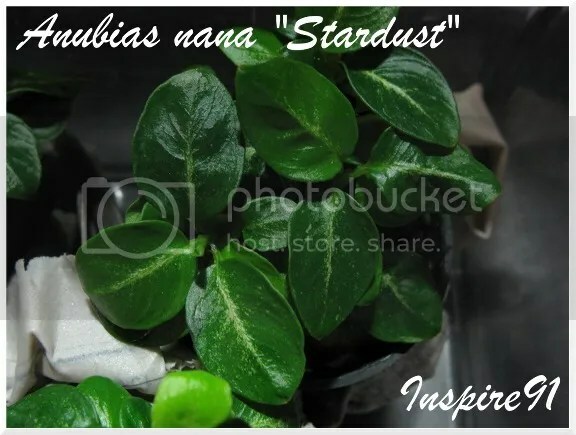 It goes by the name of Anubias nana “Stardust”. While this variety is nothing new, it has been quite elusive for some reason. 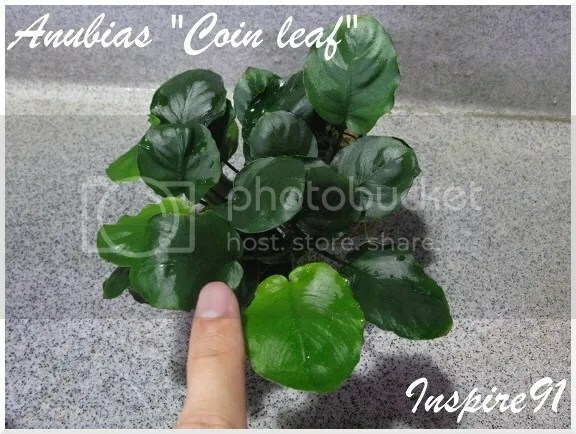 I first got my hands on it about 8+ years ago, it was quite common here in Japan, I bought a large pot with 20+ leaves for 1100 yen, or roughly $13. I eventually lost the plant a year or so later, as I was not yet very skilled at growing aquatic plants, yes I know it’s an Anubias, and they are indestructible! I was that bad! 😛 At any rate, after I lost it, I kept my eyes open for it for years and years. I often came back here to Japan year after year, with that plant on my list of “must-have” plants, but only recently have I seen it again, 8+ years later! The defining characteristics as you can see in the pictures, is that there is a white vein that goes right down the middle of the leaves. The 3 pictures above are of young specimens, the white vein becomes more bright/wider and from that main vein, white “fork” lines go outward laterally across the leaf when the plant itself becomes older and more mature. The picture below is not my own, but you can get an idea of what I am speaking of by taking a look at it. Yes all of these pictures are of emersed specimens, but just like any other Anubias, it does well both in and out of water. 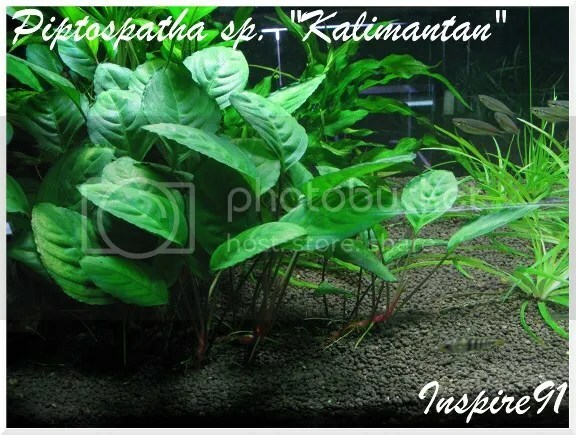 The requirements and growth patterns of this particular variety is no different from any other Anubias. A little teaser for you, this plant will be making it’s way to the US via myself and a good friend of mine, so keep you eyes open if you want to get your hands a piece of this aroid beauty! I’m here to present to you another Bucephelandra! 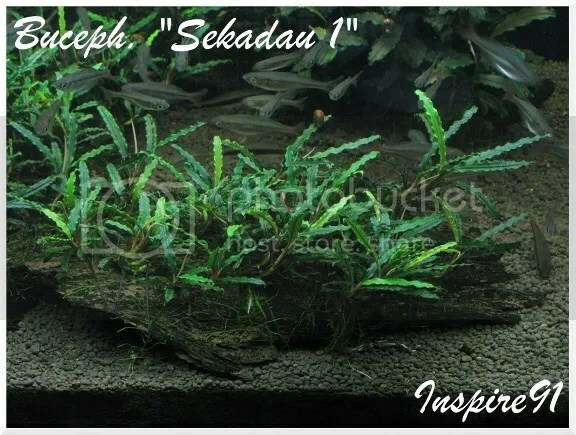 This one is actually one of my top 3 favorites at the moment, and it goes by the name of B.”Sekadau 1″ I will be skipping the general information on the genus Bucephlandra. 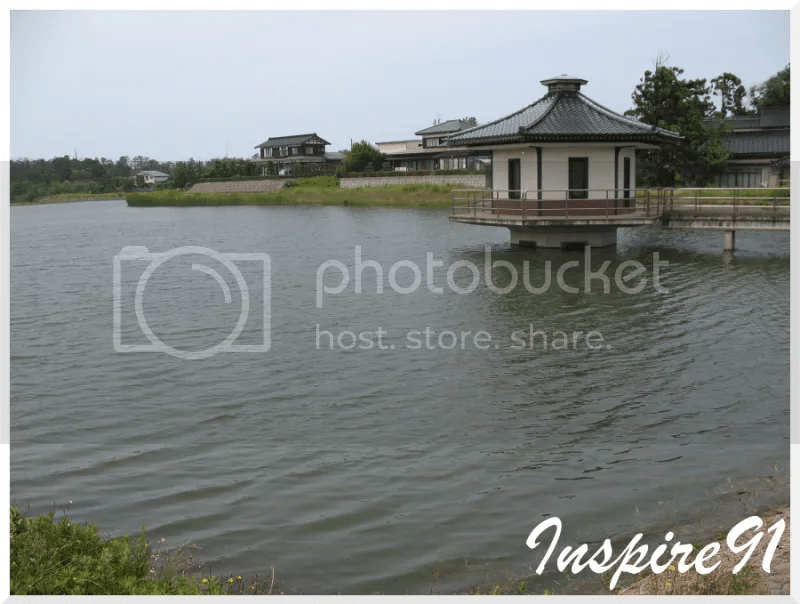 If you are interested in that information then you can find it in my first posts on Bucephelandra. 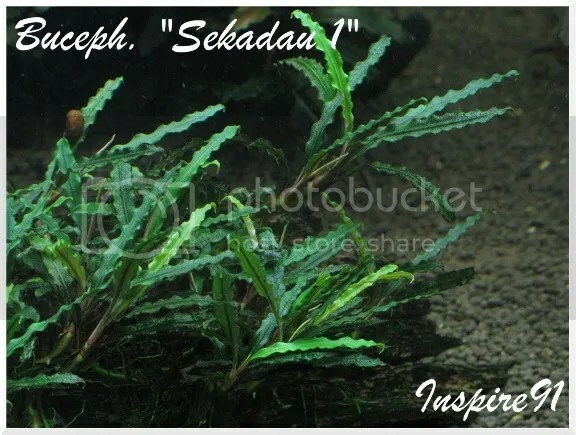 This particular variety actually is the 1st of (at this time) 3 different varieties of B.”Sekadau”. There is also #2 and #3, but today I will just be covering #1. 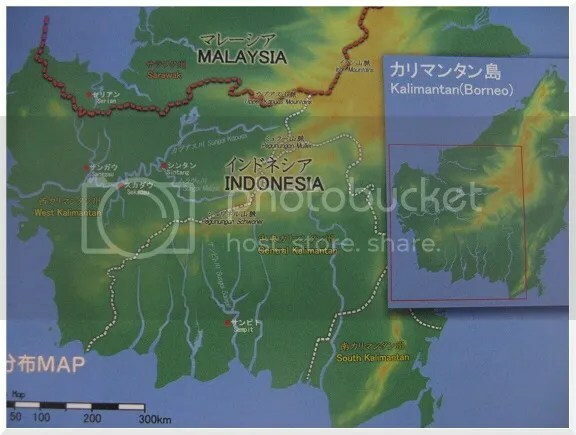 It was collected by a shop here in Japan by the name of “Team Borneo”. In Japan their reputation is basically that they are well known for collecting a plethora of rare, unusual, and new freshwater plants and fish. 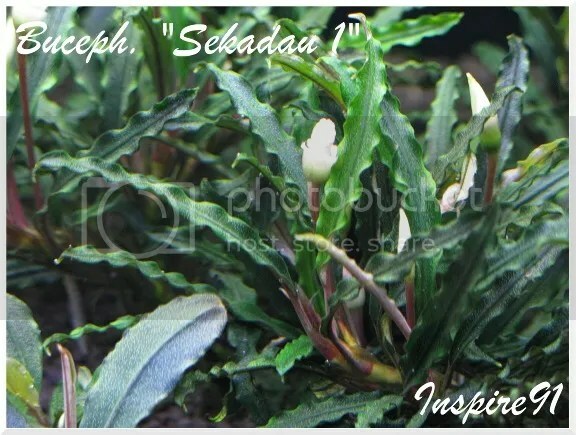 They collected this one in Western Kalimantan in an area named “Sekadau”. 2. This characteristic goes hand in hand with #1, in that the long and slender leaves along with the very ruffled edges are so very eye-catching! 4. This variety doesn’t grow vertically very much, it’s more of a lateral-grower. It spreads out, more than it grows upward. rock. As pictured below, it is growing on a piece of wood. A short, but concise write up on this beautiful Bucephelandra for all of you! 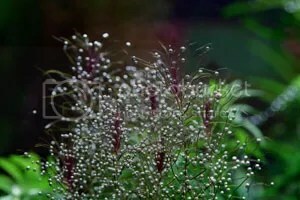 My next few posts will most likely be on a variety of aquatic plants, I’d like to get a post or 2 out within the next 2 weeks.